This gorgeous gold plated shower system has an optional LED showerhead that comes in three sizes to best suit your needs. Handheld shower with an additional six adjustable body massaging jets ensures are all over coverage and maximum relaxation. Gold tones add glitz and glamour to your bathroom. Built-in hydro-powered device powers the LED lights, which provide visual shower temperature cues to reduce water waste. The lights will dim and brighten when you lower and raise the pressure so you can set the perfect mood, water, and lighting. When water temperature is above 122 °F (>50 °C), Red color will flash immediately. This is probably one of the most expensive fixtures in our bathroom, and although it may seem rather expensive, I actually think that it's worth it, especially since I was able to buy it while it was on sale. It was selling for almost half the price, so how could I resist that. Anyway, the shower set like I said is worth every penny since it incorporates a whole lot of feature that anybody could want from a shower set. The body jets, the handheld shower and every other component and feature works extremely well. On the plus side, the whole thing looks absolutely gorgeous. Personally, I think this shower set system is quite expensive. Yes, it is of high quality and I think it looks beautiful, but I've seen some other shower set systems here in the site that has the same features but are priced lower. If you're really after the beautiful design of this thing, by all means go ahead and get it. 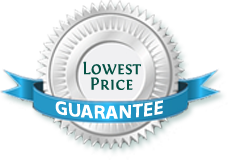 If you're just after the features though, you might consider continuing shopping around in the site. I would have given this a five star rating if it weren't for the late delivery. It took almost two weeks for this to get here. I don't remember how many times I called Fontana to check on my order, and that was pretty frustrating. The product itself is great. the gold finish is excellent and everything works well. Still, I would suggest they do something about their Deliveries. The design and finish is just wonderful, and were probably the very first things that appealed to me when I saw this. 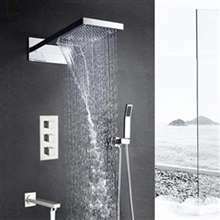 However, aside from the aesthetics, there are certainly many more things to commend with regards to this shower panel. For one, all the features worked great. I really enjoy using the shower body jets, they can really transform your showering experience.